In this year also marking the centenary of the RAF, Bosleys’ (20% buyer’s premium) fourth annual sale of aviation collectables on September 13, held in conjunction with (and at) sister auction house Marlows in Stafford, included a large number of related items. Showing the transition from RFC to RAF were the uniforms of Observer Lieutenant Anthony Joseph Hill Thornton, an air gunner with five kills to his credit. 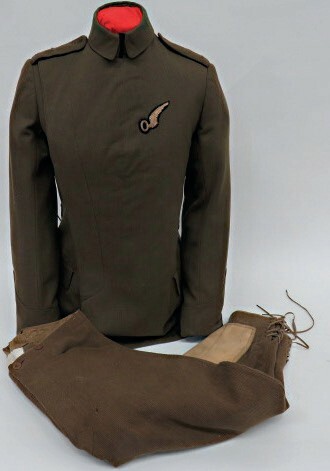 His first ‘maternity’ pattern RFC tunic sold for £2400, his second £2200, his tunic representing the first pattern khaki RAF style sold for £840 and his 1918 RAF cap made what is thought to be a record £1900. Thornton’s exploits included what would become known as the ‘two versus 20’ fight on May 7, 2018. While on patrol with another Bristol Fighter of 22 Squadron, Thornton and his pilot Captain John Everard Gurdon DFC (28 kills) were attacked by 20 enemy fighters. By the end of the dogfight the pair would claim three of the eight victories. 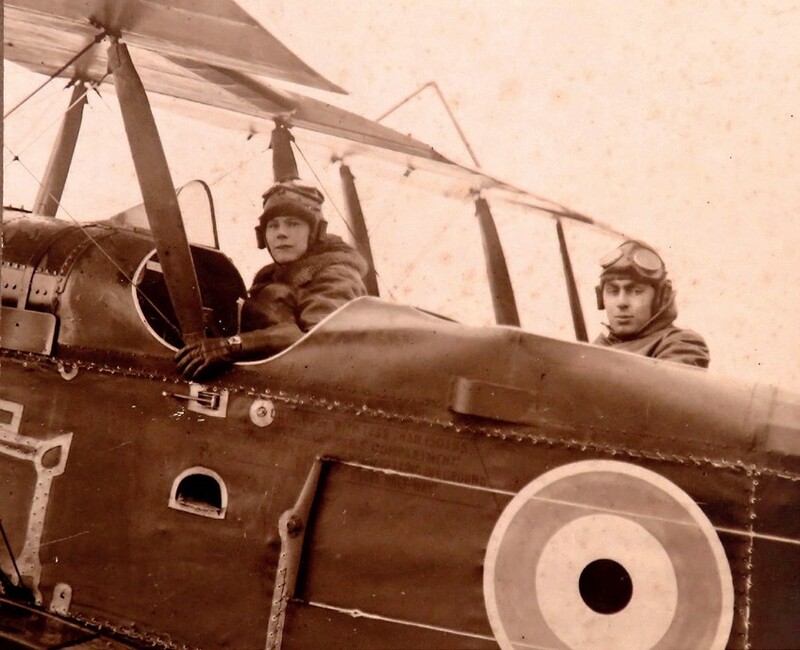 Within the medal section another observer officer was represented, Lt Archibald Touse Streeter, who had flown operationally with the British Expeditionary Force in 82 Squadron. This squadron flew the large FK8 aircraft and on September 2, 1918, following a bombing raid, his aircraft crashed on return. The clock fashioned from Lt Streeter's crashed aircraft – from his archive sold for £2000. He survived, and the ground crew crafted a very fine propeller boss clock, engraved to the silver face with the doomed aircraft.